Mediclinic Southern Africa has expanded its base into the primary healthcare market by buying into the Intercare group of companies. The latter operates 18 multidisciplinary medical and dental centres, four day hospitals and three sub-acute and rehabilitation hospitals in South Africa. The investment comprises a minority shareholding in the medical centres and a controlling interest in hospital side of the business. Intercare will continue to manage all the facilities under its own brand. 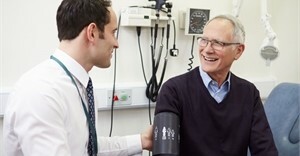 Given the swing towards preventative medicine as a means of reducing soaring costs and the burden of disease on an already stressed healthcare system, and the focus on primary healthcare in the National Health Insurance white paper, it makes strategic sense for the private hospital group to expand its interests into this space. “We believe that this is the ideal opportunity to partner with an experienced and innovative leading role player in the primary healthcare market. The addition of the sub-acute and primary elements to Mediclinic’s healthcare offering will complement the services available through our specialist orientated, multidisciplinary acute care facilities,” Koert Pretorius, CEO of Mediclinic Southern Africa, said. “Over the past 15 years Intercare has developed an integrated business model with medical and dental practitioners and the primary healthcare needs of the patient at its core,” said Dr Hendrik Hanekom, CEO of the Intercare group. Both transactions are subject to several conditions, including Competition Commission approval of the Mediclinic acquisition of the controlling shareholding in the day hospital and sub-acute and rehabilitation hospitals owned by Intercare.